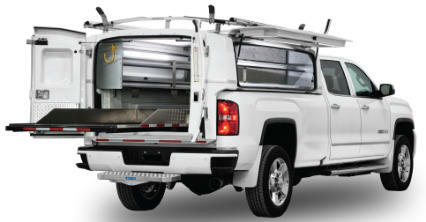 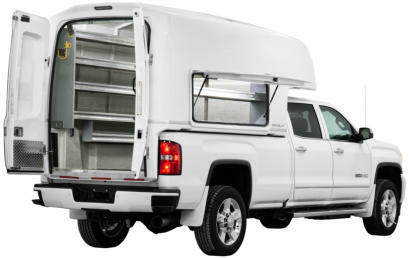 THE NEXT BEST THING FOR THE COMMERCIAL INDUSTRY TO REPLACE A SERVICE VAN OR A SERVICE BED! In 1992, SpaceKap developed/designed the SpaceKap™ Concept and this year they are celebrating their 25 th Anniversary and are now on the 4 th generation of the SpaceKap™ concept. 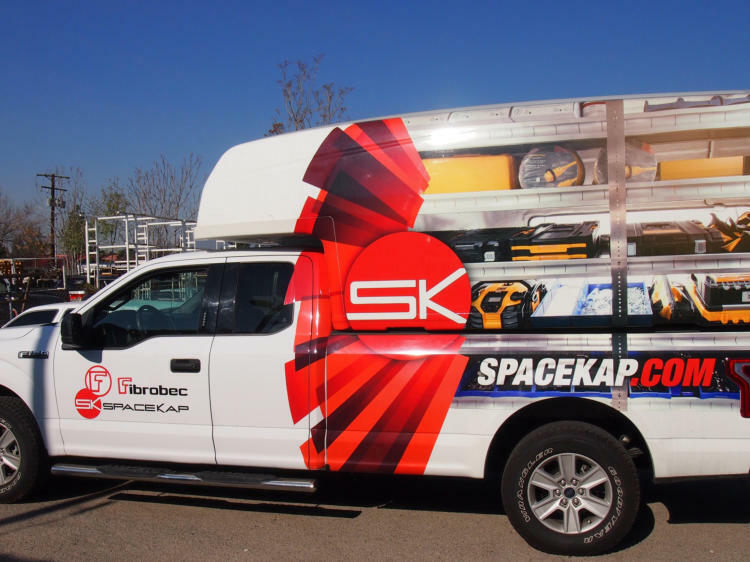 SpaceKap™ knows that service begins with an understanding of your business unique needs, and ends with your unconditional satisfaction, and that’s what all of SpaceKap’s customer’s value from their SpaceKap Concept with their vehicle fleets. All three SpaceKap ™ models are slip-in transferable service bodies and offer a universal fit for all 6-1/2’ and 8’ full-size pickup trucks on the market. You can easily install or remove the capsule from your pickup truck within minutes if you need to switch vehicles or replace your truck. 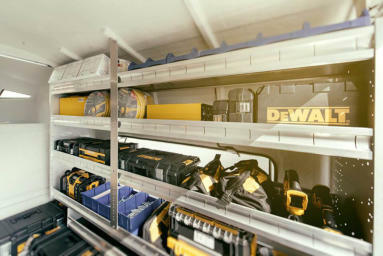 Once fitted with shelves and ladder or step ladder racks, it keeps your tools and equipment safe and well organized, to save you time and money. 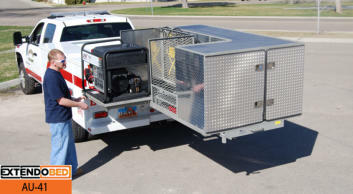 The SpaceKap is considered The Attractive and The Economical solution that meets the transport needs for businesses of all sizes. 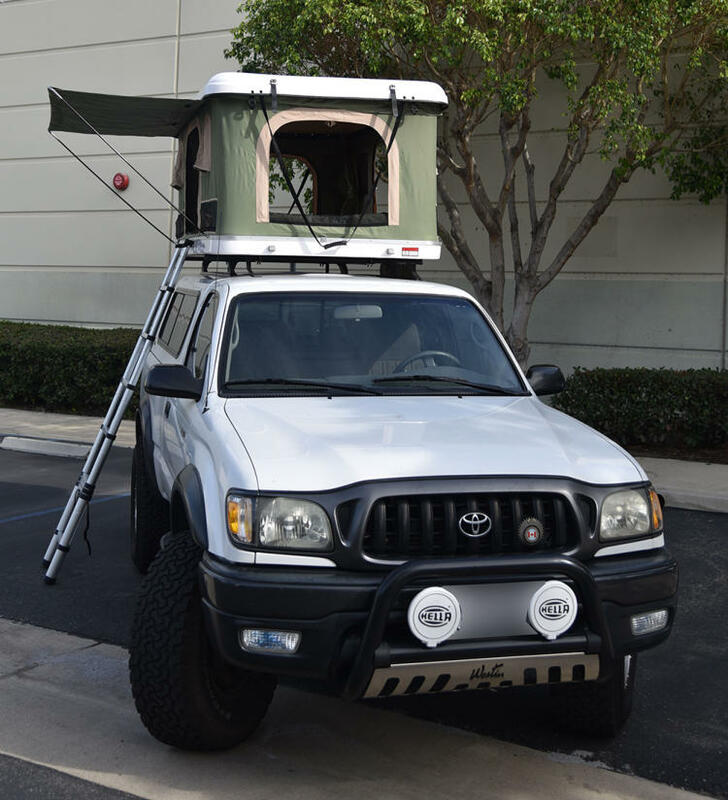 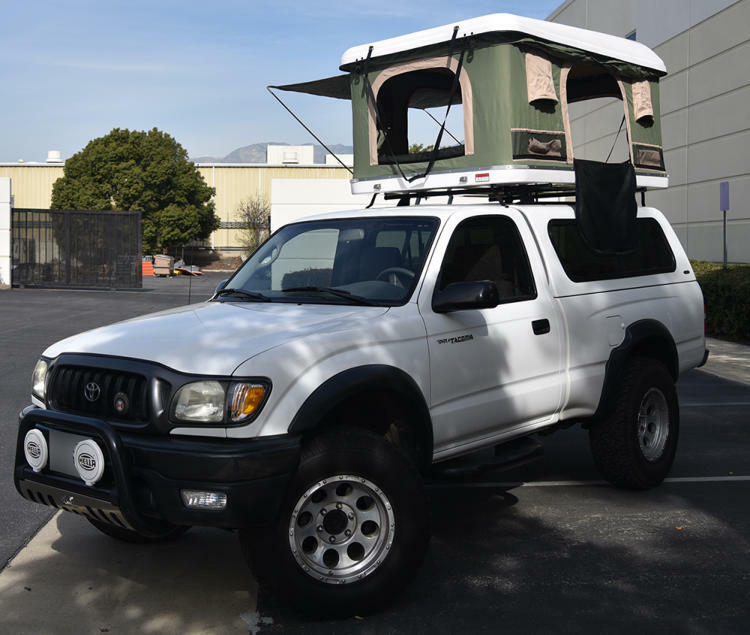 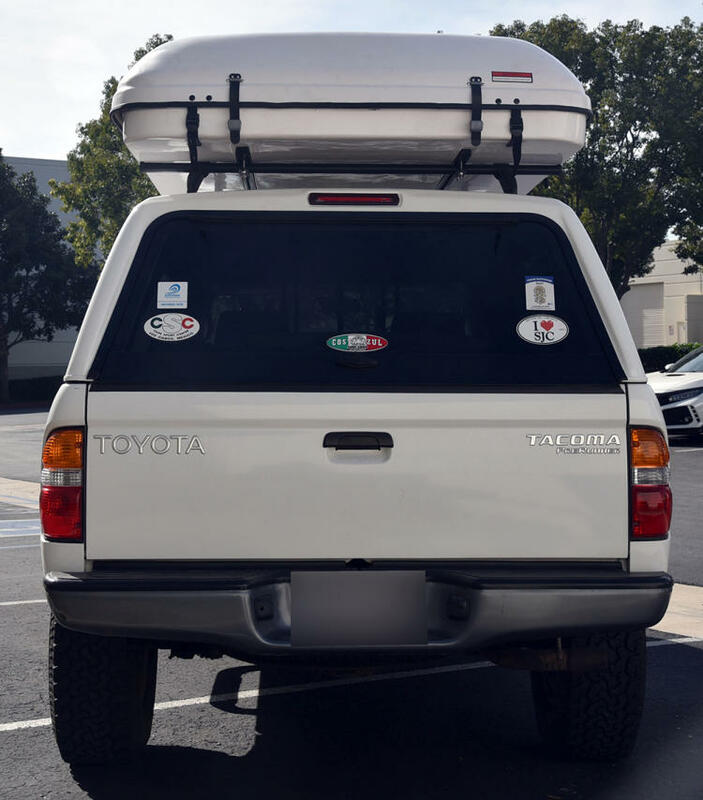 SpaceKap™ units are durable, affordable, safe, reusable and transferable from one vehicle to another, to turn any pickup truck into a fully operational service vehicle. 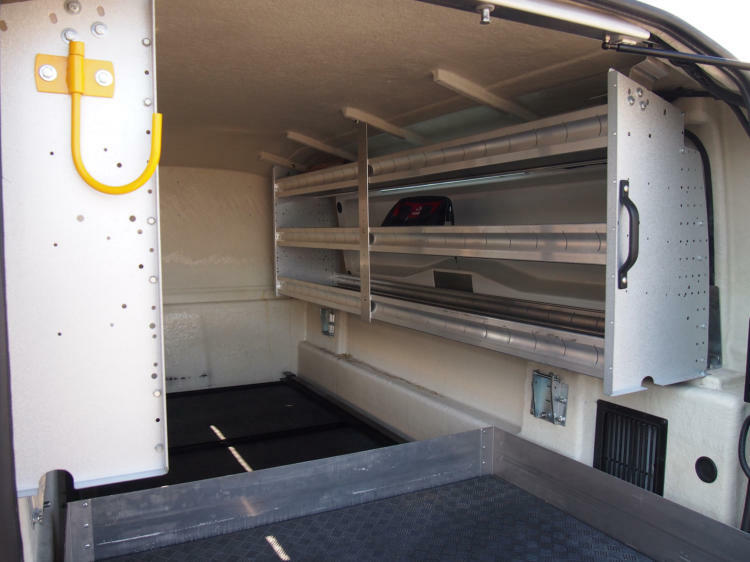 The pickup truck/SpaceKap™ combo is on average 12% more fuel efficient than a cargo van, thus increasing the savings and making it the ultimate solution for truck fleets. 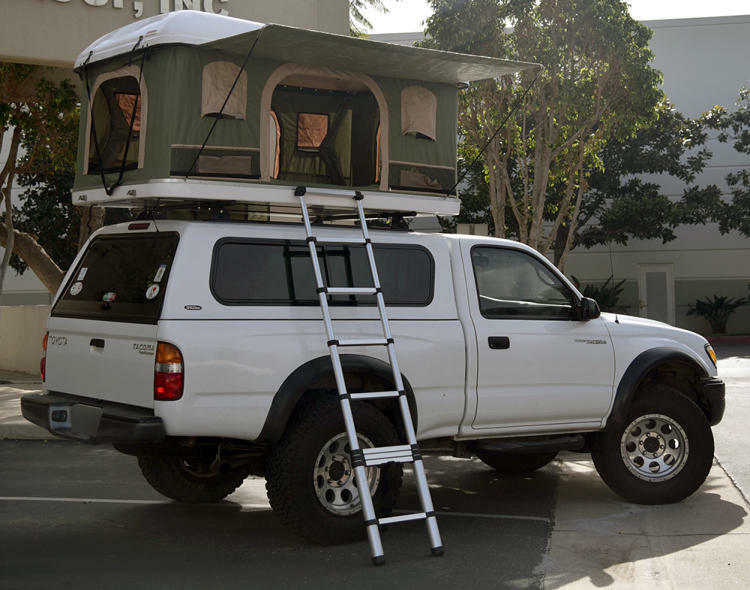 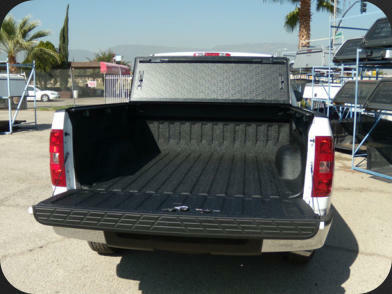 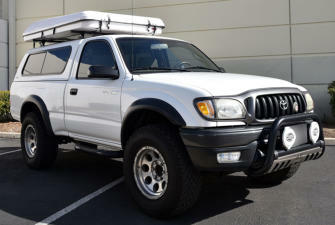 Extendobed created and patented the first sliding truck bed in 1987. 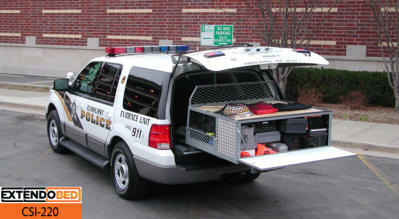 Since that time, they have been serving the professional community for over 30 years. 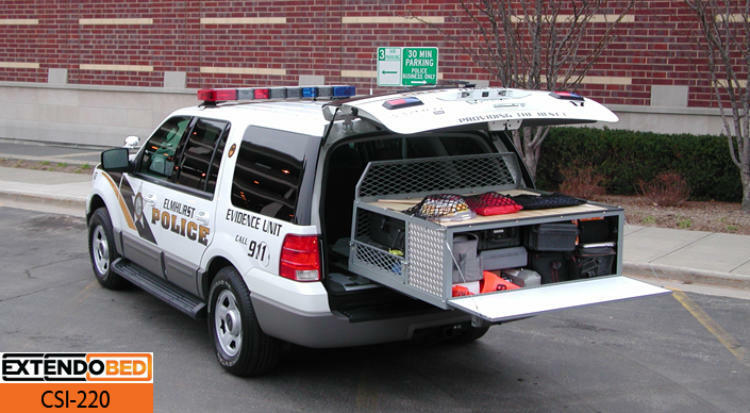 Whether you are a Fireman, Police Officer, or Working Professional, Extendobed products allow you to be more efficient at your job. 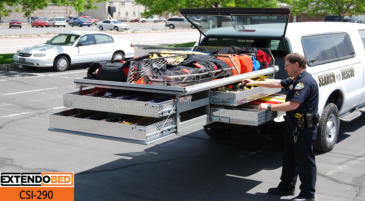 Extendobed takes pride in the custom designs created to fit specific needs of every profession. 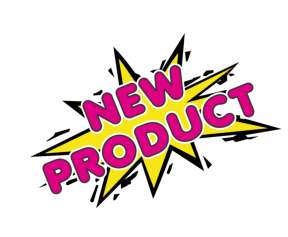 Extondobed makes every effort to ensure our product is rugged, durable, and meets the professional demands of every day use. We are proud that our product is used in thousands of locations across the world and know that it helps assist in saving lives, time, and money. They are committed to continued excellence in the design and fabrication, to ensure every unit that leaves our facility will meet our customers’ needs for many years to come. 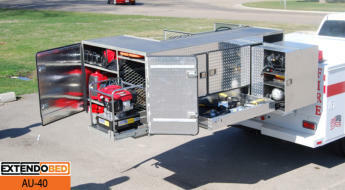 In fact, many of the units, including the first ones built in 1987, are still in service today meeting heavy demands placed on them by the clients.